With a gorgeous, white sand beach, one of the island's best restaurants and stylish and comfortable bedrooms, you may never want to leave the Koh Samui. 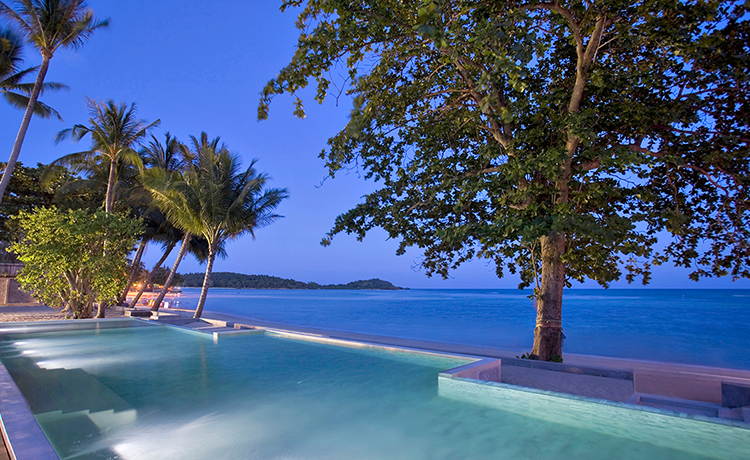 But Koh Samui has plenty to offer for the more adventurous traveller. Here is a fun-filled four day itinerary that will let you experience the best of what the island has to offer. DAY ONE: Arrive at the airport and settle in. After landing at the gleaming, clean Koh Samui airport, collect your bags and pick up a rental car. You'll want to have your own set of wheels to best get out and explore the island on your own terms. From the airport, take a short drive north to the famous big Buddha. This gleaming gold statue can be seen from many points on the island, and the nearby temple of Wat Plai Laem is worth a visit. Keep in mind that this is a working temple, so cover up and be respectful. Next, head back south through Bophat, a charming fisherman village not far from the hotel. Wander around to get a real sense of Thailand. Then , it's a quick drive to check in to your comfortable room at Akyra. Finally, enjoy a cocktail at Club Akyra, the beachfront bar, as the sun goes down on your first day on the island. DAY TWO: Visit Ang Tong Marine National Park. If you are visiting between January to October, make a full day trip out to the Ang Thong Marine National Park. This iconic park will give you a glimpse of postcard perfect Thailand: lush green islands sprouting out of turquoise waters. Wear sturdy shoes, as a steep climb will take you to the top of to a viewpoint on top of Mae Koh, where you get a spectacular view of the Emerald Sea, an exceptionally green lake. Day tours of the park often include a lunch, a visit to a cultural village and kayaking or snorkeling in the pristine waters. In the evening, take in a local Thai boxing match. Thai Boxing, or Muay Thai, is Thailand’s National Sport. The intense, noisy matches are a thrilling spectacle to watch. Matched are held every Monday, Wednesday and Saturday, starting at 21:00, at the Petchbuncha Boxing Stadium. DAY THREE: Explore the Eastern Coastline. Make this day one all about beach-hopping along the coastline. There are countless beautiful beaches to discover. Aside from Chaweng beach where Akyra is located, some of the most popular are Lamai Beach and Bophut. As you drive south along the coast, stop to see Grandma and Grandpa Rocks (or Hin Ta and Hin Yai). These "anatomically correct" rock formations make for a good photo and a laugh. Have lunch at the famous Poppies restaurant. Set right up against the water, this restaurant features modern and delicious twists to classic South Thai dishes. For a more active day, take a trek up to the Na Mueang Waterfalls, the tallest waterfalls on the island. They can be quite touristy, but are a beautiful sight and a refreshing swim, especially when it is not the rainy season. As you travel further south still, make a visit to Wat Khunaram, home of the mummified monk of Luang Pordaeng. It is a fascinating cultural sight, and a once in a lifetime experience. If you're not too tired from all that exploring, end your night out on the town. 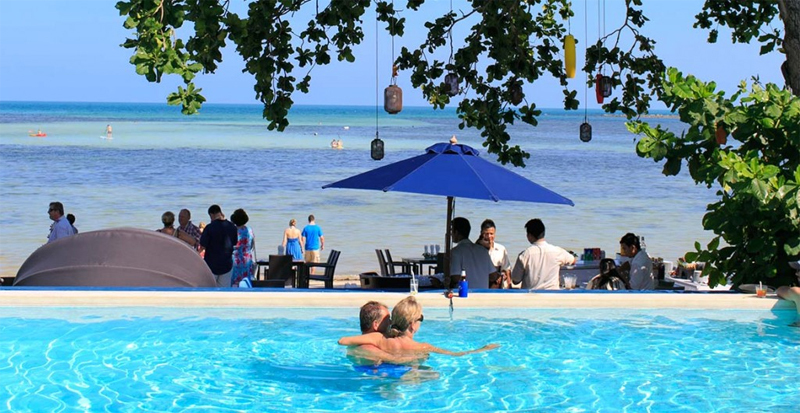 Koh Samui has some famously fabulous nightlife, such as the Ark Bar on Chaweng Beach, which features fire dancers and other entertainment right on the beach. for one of the most riveting beach parties on the island. In the morning, enjoy the fabulous beaches of the resort. 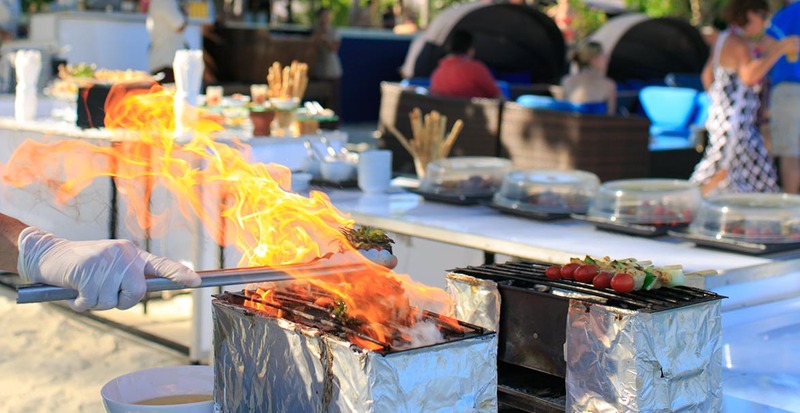 Or, if it happens to be Sunday, treat yourself to the fantastic brunch offered at the Nikki Beach Resort, then party by the pool. In the afternoon, take a boat tour to the Five Islands. Climb aboard a traditional wooden long-tail boat and travel out to these protected, uninhabited islands. You'll spot beautiful birds and their nests, and get a chance to snorkel beneath the limestone cliffs. End the day with a dinner on the beach as the sun goes down.